Vladimír Hirsch is a Czech contemporary avant-garde composer, instrumentalist and sound alchemist. He has been producing and releasing music since back in 1987. He works within a wide range of musical styles including contemporary classical, industrial and dark ambient just to name a few. Starting out as a pianist Hirsch quickly became enamored in the more manipulative nature of electronics. Through any number of combinations of various styles and techniques of music, Hirsch exudes a mastery of his trade. He is a man who has thoroughly studied and recorded within any number of musical styles. He seems to have a genuine love for taking genres and instruments into directions unexplored. Scripta Soli is the latest release in the genre of dark ambient by Vladimír Hirsch. 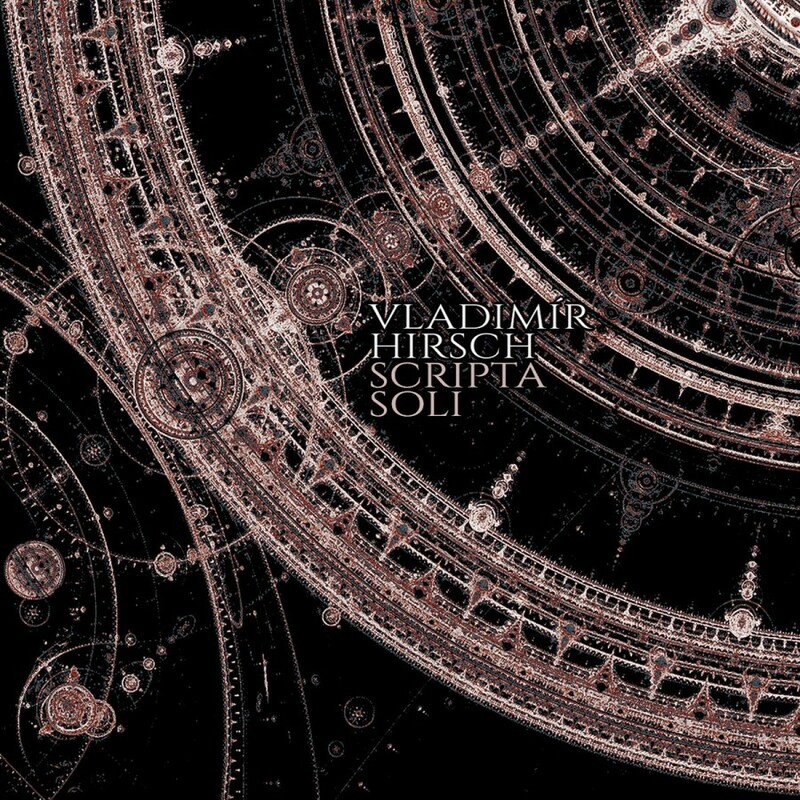 While on a number of his previous releases he incorporated style that would spill into classical and experimental territory, Scripta Soli feels like a dark ambient album in its purest form. Scripta Soli incorporates a vast amount of techniques and instruments to bring Hirsch’s vision to life. In the liner notes of the album he is credited as using synthesizers, electronic keyboards, piano, field recordings, electro-acoustic analog and digital techniques and vocals. The vocals include guest appearances by Dominika Karcovsk and Nadya Feir. The mention of this wide variety of elements should begin to bring into perspective the breadth of ground this album covers. Tracks like “Impressiones” can bring together most of these elements within a single track. We are confronted with string instruments which give the track a bit of a neo-classical feel, without ever truly crossing over into that territory. There are field recordings that paint a picture of a derelict industrial complex haunted by the ghosts of its long deceased workforce. The following track, “Exanima” takes us even deeper into the industrial landscapes, with a gently executed screeching noise blaring over a foundation of slowly evolving and morphing synthesizer drones. The track is reasonably short in comparison to “Impressiones” which came in at 6+ minutes, so “Ex Anima” serves as a sort of interlude. The next track “Camera Delusionis” begins as a more subtle but no less brooding affair. There are deep rumbling drones beneath the surface, complemented by a sound that serves as a drum beat, yet doesn’t particularly seem to be a drum. A more ominous synth track sits on top of the mix, giving the composition a sort of horror film aesthetic. It’s tracks like this one that really display the brilliance and depth of Hirsch’s grasp on dark ambient. The rest of the album similarly moves forward in the way described of these three consecutive tracks. We are taken on a journey, deep into the depths of forgotten industrial complexes, into places that seem to still be alive with the malevolent ghosts of their seedy pasts. The plethora of sound sculpting techniques used on Scripta Soli means that the album never grows stale. Throughout its 60+ minutes the soundscapes are constantly shifting and morphing, bringing out an intricate array of emotions, giving us numerous images of forgotten landscapes to imagine.